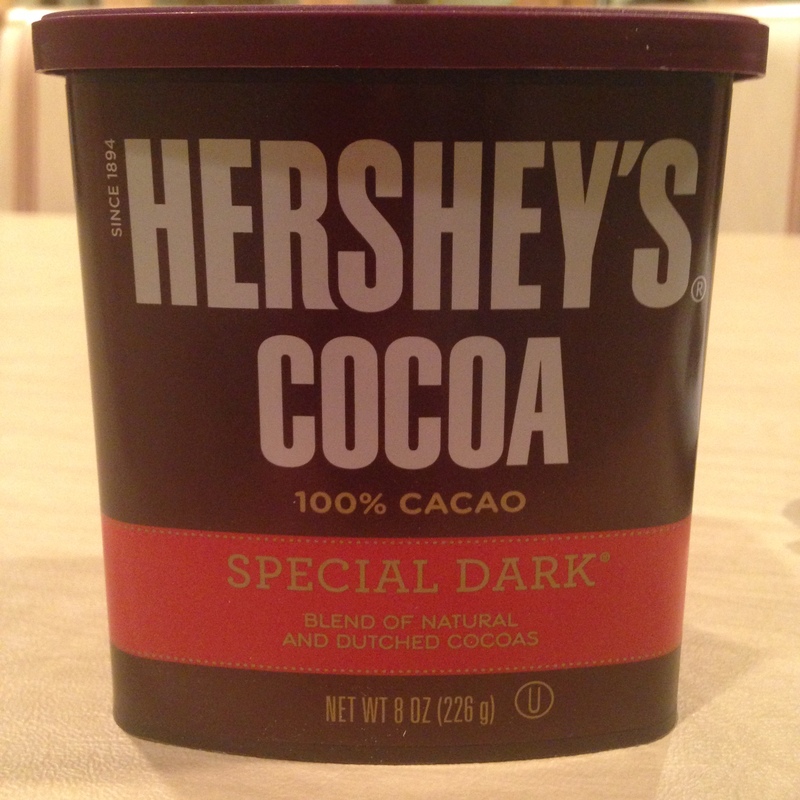 So yes, I’m in love with the cocoa, but more specifically, Hershey’s Special Dark cocoa powder. 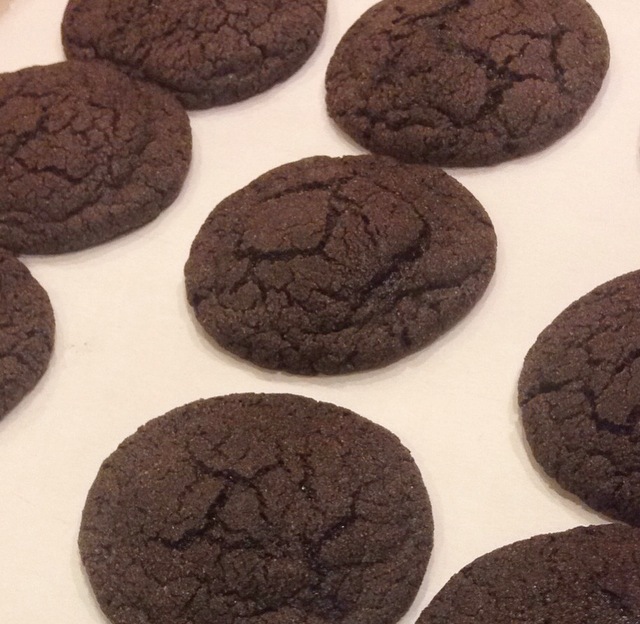 It’s the secret ingredient in these delicious chocolate sugar cookies, and they may not look like much, but the special dark cocoa powder packs a powerful chocolate punch. 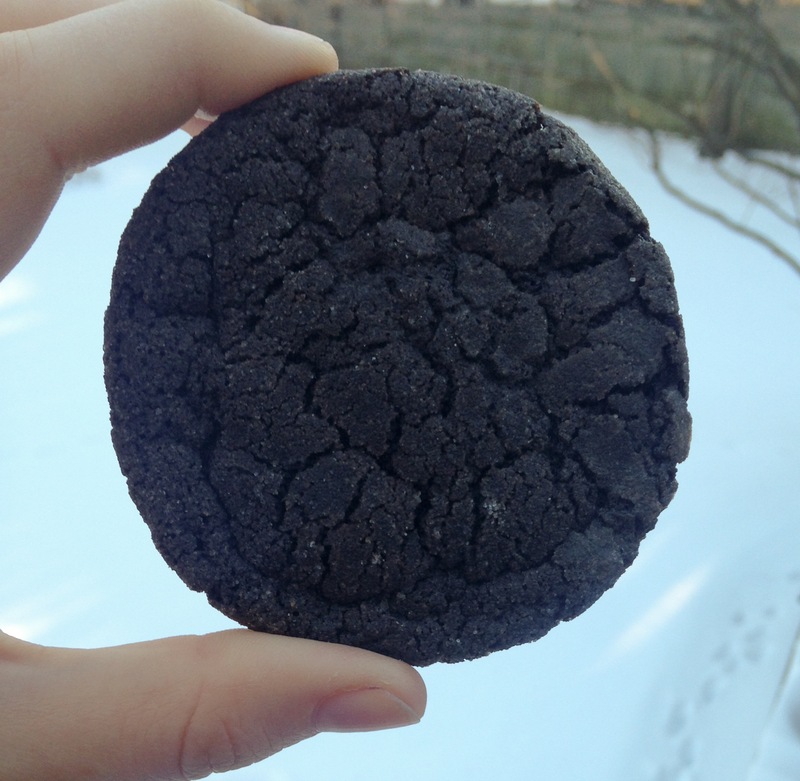 These cookies first caught my eye on Pinterest because of their beautiful rich, almost black, color. I clicked on the link and I was surprised to see only standard baking ingredients in the recipe. Luckily, some awesome people had commented on the post and pointed out that in order to obtain the dark chocolate look AND taste, you need to use special dark cocoa powder instead of regular cocoa powder. Once you know the secret ingredient, these cookies are actually extremely easy to make and they baked perfectly. I’ve probably tried 20 new recipes in the past few months and this was, without a doubt, the easiest and most stress-free one I’ve tried. I was actually giddy when I pulled the tray out of the oven and saw how evenly the cookies baked and how perfect they looked. Thank you, Handmade Charlotte, for this A+ recipe! 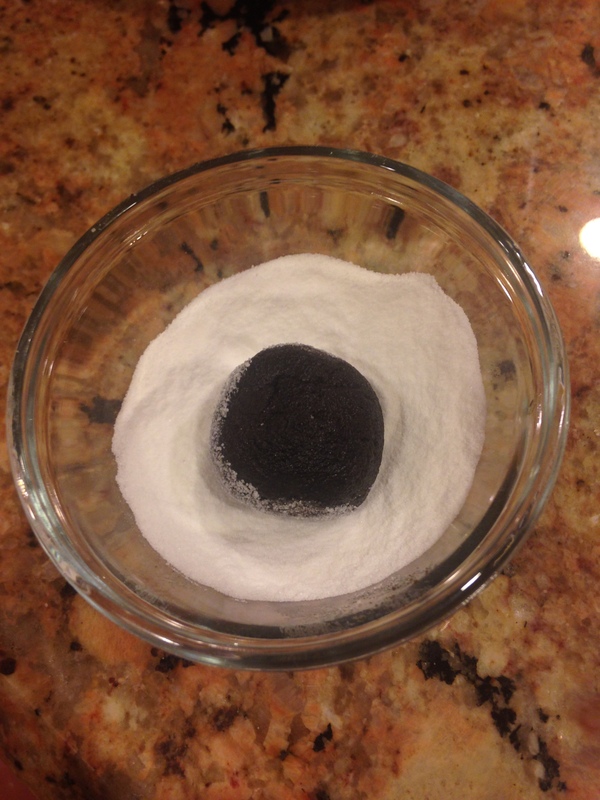 Begin by combining flour, cocoa powder, baking soda, and salt in a medium bowl. Whisk together and set aside. 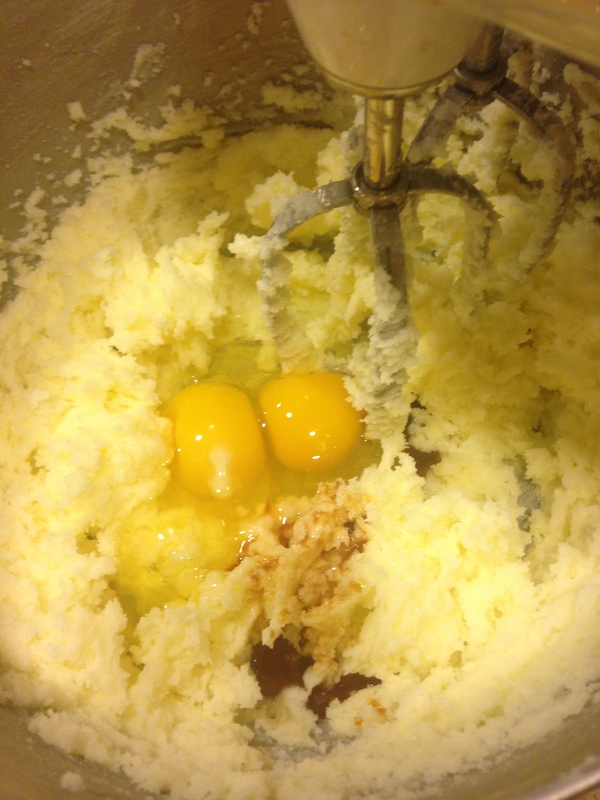 Cream together butter and sugar in the bowl of a stand mixer. Then beat in the eggs and vanilla. 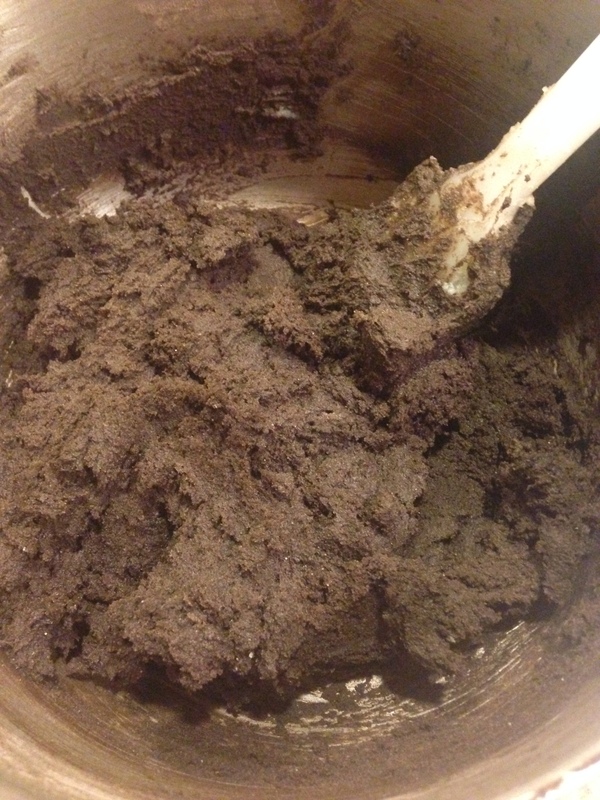 With the mixer on low, slowly add the dry mixture to the wet and mix until just combined. Careful not to over-mix. 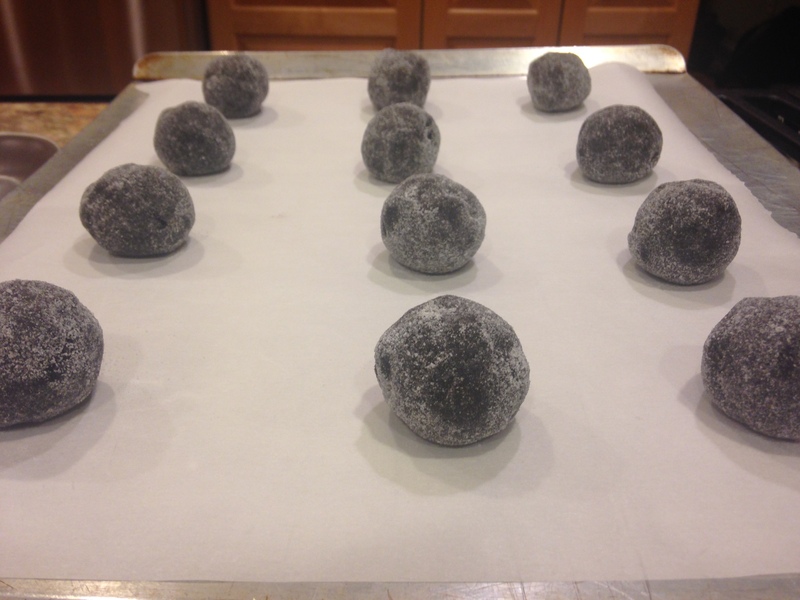 Roll cookie dough into balls and then roll each ball in a small bowl of sugar until it is completely coated. And now for a long explanation on the baking time: Despite the fact that I bake a few times a week, it’s sometimes still really tricky to figure out the exact amount of time that something should be in the oven. It’s especially hard to figure out when something is done if it’s the first time you’re making it, since most baked goods continue to bake a little more after they’ve been taken out of the oven. Handmade Charlotte’s recipe recommends 11-13 minutes and my cookies were done in 11 minutes exactly. Usually my oven takes a little longer than most, so I would say you should start checking these cookies around 9 minutes. I assume the reason for the variance in baking time is that I got 42 cookies out of this recipe, while Handmade Charlotte says she made 24 cookies. Considering my cookies were a pretty normal size, her cookies must have been HUGE and therefore taken longer to bake. On a related note – when I first saw that this recipe called for 2 1/2 sticks of butter for 24 cookies, I was slightly horrified (but clearly not too horrified since I made them anyway). 2 1/2 sticks of butter is a LOT more reasonable for 42 cookies! Finally, take your cookies out of the oven and be wowed by how stunning they look! Way to go, you! Preheat the oven to 350 degrees and line cookie sheets with parchment paper. Put between 1/4 cup and 1/2 cup of sugar in a small bowl and set aside. 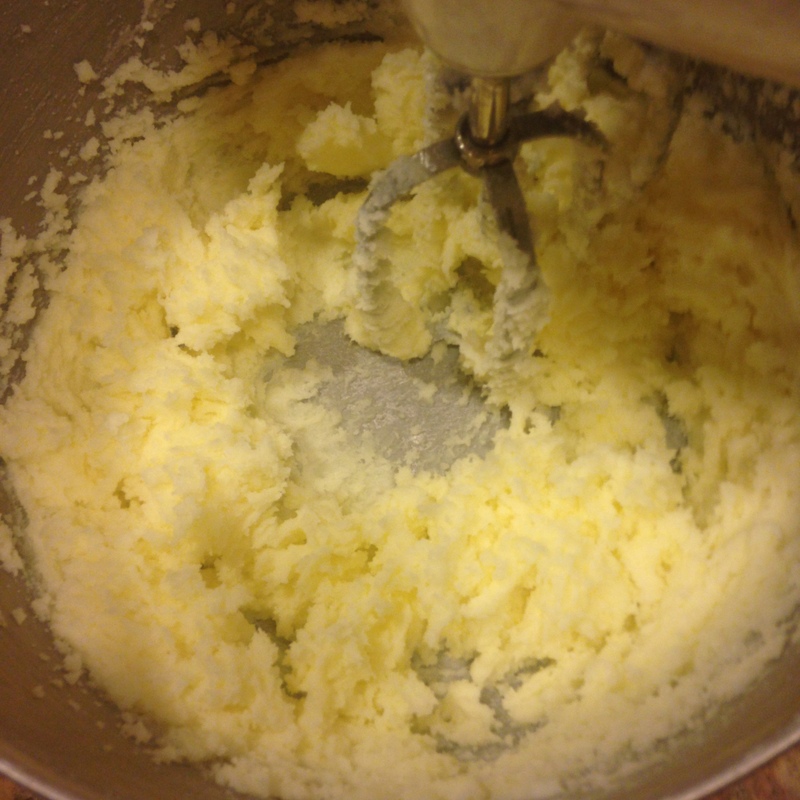 Using a standing mixer, cream the butter and 2 cups sugar together until light and fluffy, 3-5 minutes. Add the eggs and vanilla, and beat to combine. 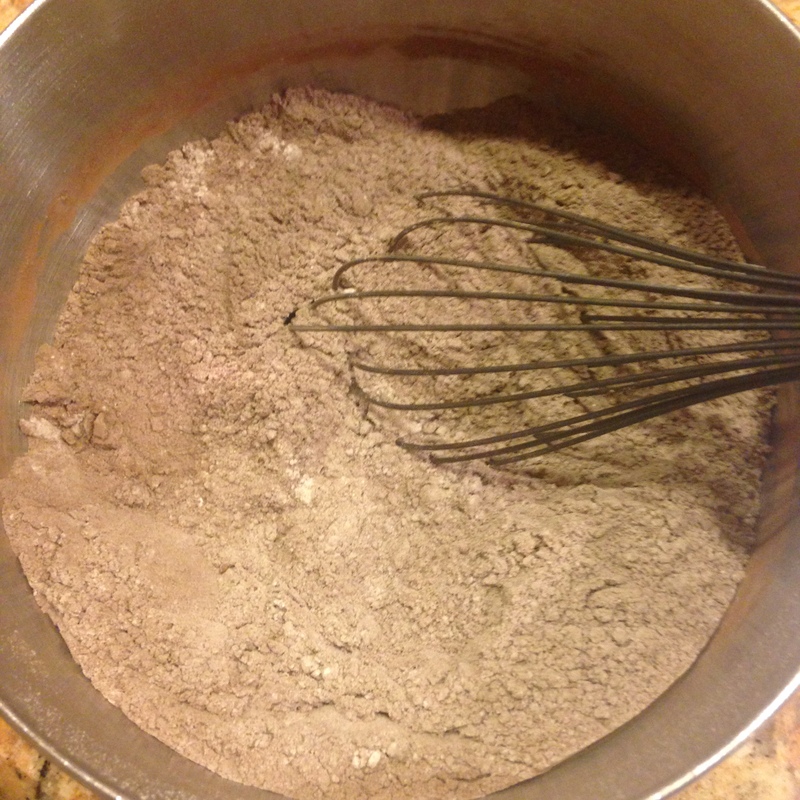 With the mixer on low, add the flour mixture and mix until completely combined. Do not over-mix. Make balls of cookie dough using about 1 1/2 tablespoons of dough for each, and roll balls in the set-aside sugar until completely coated. Place on the prepared cookie trays and bake for 9-11 minutes, until the edges have set and the centers are puffed and starting to crackle. 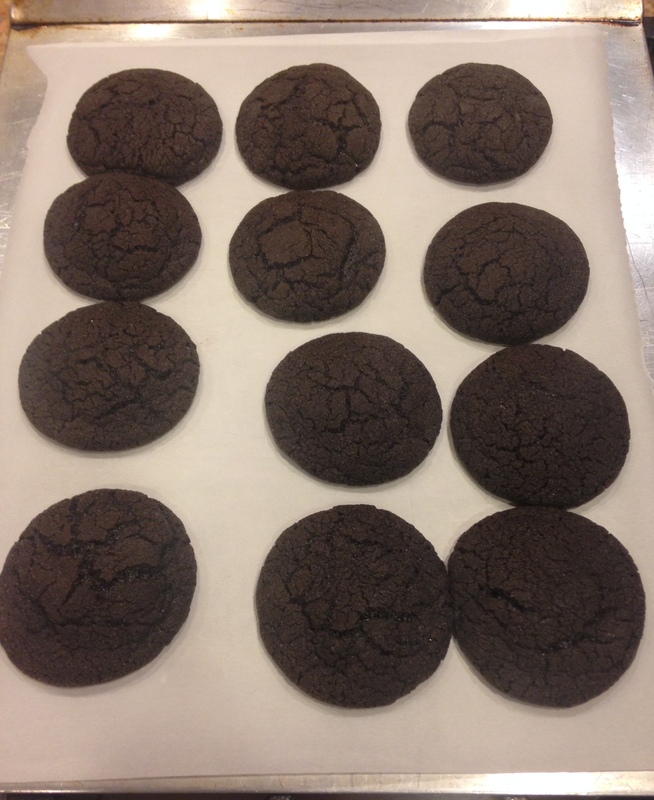 Remove from the oven and move the trays to a wire rack, allowing the cookies cool. « Suga Cookie How You Get So Fly?